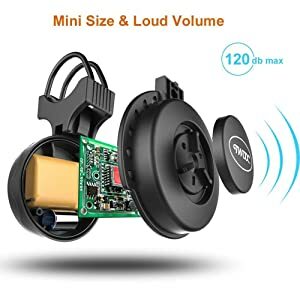 Safety First: This Loud Volume & Mini Size Electric Bike Horn can reach 120 decibels, loud enough to alert anyone or even people in a vehicle to your presence. It's the perfect bicycle accessory for you or your kids. Well designed boost circuit, which is the secret of the loudness. Control switch and bike horn are separated. You can install the control switch right next to your thumb, which can keep your hand still on the bar when you press it. 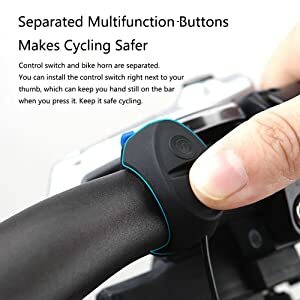 Keep it safe cycling. 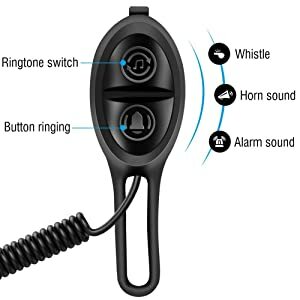 Horn sound, alarm sound and whistle for you to choose. 2 seconds to put in. 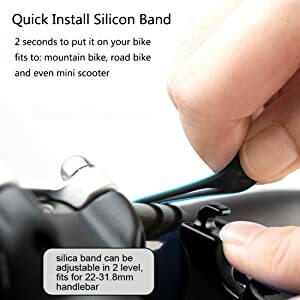 Fits your mountain bike, road bike, or even a mini scooter. 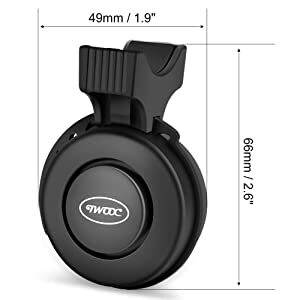 As a watch size, it can be hidden at the inner side of the handle, which will never get in the way while you brake, adjust chain or operate anything on your bike handlebar. High-Beta Bell Sound: It’s small with large volume, Built-in boost circuit make sound up to 120 decibels. 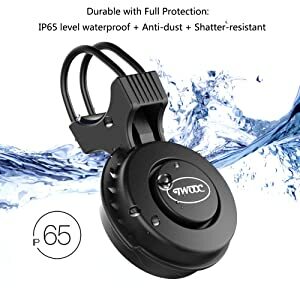 High Quality: Waterproof, Anti-Drop, Dust-Proof. It can be charged over 300 times, pressed over 200000 times, standby time over 180 days. Convenient: USB rechargeable. 280 mAh lithium battery was built-in. It will last 20-30 days after a full charge(1.2h) 40g only, You can keep it in your pocket.